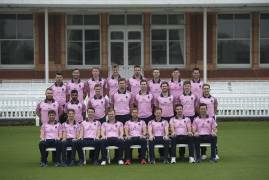 Middlesex name a 14 man squad for their final match of the season, where they travel to Chester-le-Street to take on Durham in the Specsavers County Championship. Middlesex name a 15 man squad for our final home match of the season, where we host Derbyshire at Lord's in the Specsavers County Championship. Martin Andersson has been recalled from his loan spell at Derbyshire and will make his County Championship debut for Middlesex today against Kent. Middlesex name a 13 man squad for our return to Lord's, where we host Kent in the Specsavers County Championship starting tomorrow. Middlesex name a 14 man squad for the trip to Bristol to take on Gloucestershire in the County Championship tomorrow. Middlesex name a 13 man squad for their return to Lord's tomorrow to take on Sussex in the Specsavers County Championship. 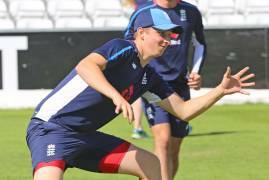 Middlesex name a 13 man squad for their trip to Wantage Road to take on Northamptonshire in the Specsavers County Championship. Middlesex name a 13 man squad for tonight's final Vitality Blast match of the season, where we travel to Hove to take on Sussex Sharks. Middlesex name a 14 man squad for our final Vitality Blast match at Lord's this summer, where we host Essex Eagles. This week two Middlesex U15's boys have been selected to represent the Bunbury South team & three youngsters will take part in the ECB U17's Super 4's. Middlesex have named a 12 man squad for their trip to Beckenham to take on Kent in the Vitality Blast. Middlesex name a 14 man squad for their Vitality Blast clash against Gloucestershire. Middlesex name a 14 man squad for their final outground game of the summer, where they play Glamorgan at Richmond CC, Old Deer Park. Middlesex name a 14 man squad for tonight's London derby clash against Surrey at the Oval in the Vitality Blast. Middlesex have announced a 12 man squad to play Sussex in the Vitality Blast at Lord's tomorrow evening. 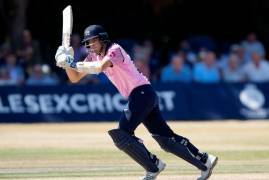 With Ashton Agar arriving next week, Ben Kosky of the ECB Reporters Network chatted to Stephen Eskinazi about his good mate Ashton Agar.